All U Need 4 Travel: Not going on holiday? Beat the winter blues with a Daylight Pod! Not going on holiday? Beat the winter blues with a Daylight Pod! It's very sad that the nights are drawing in and the weather has turned distinctly autumnal (almost wintery in some places). It's the time when we start to feel a bit miserable and down. The lack of daylight has been attributed to making us feel depressed and when we go to work in the dark and come home in the dark it's no surprise we get fed up. "Seasonal Affective Disorder (SAD), also known as winter depression or winter blues, is a mood disorder in which people who have normal mental health throughout most of the year experience depressive symptoms in the winter or, less frequently, in the summer, spring or autumn, repeatedly, year after year. In the Diagnostic and Statistical Manual of Mental Disorders (DSM-IV), SAD is not a unique mood disorder, but is "a specifier of major depression". 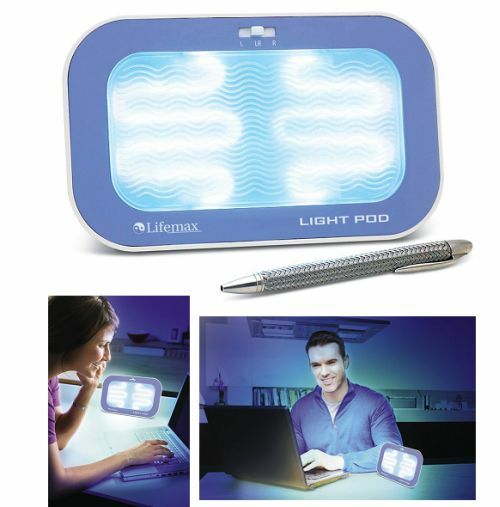 Well we can't offer the drugs but we can offer the Light Pod to help brighten your home and working space. It uses blue spectrum light tubes to simulate natural daylight. 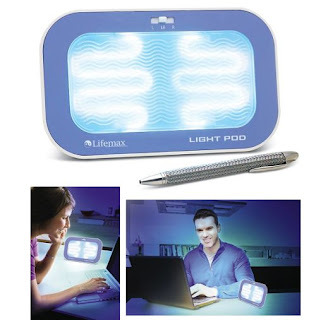 Brings near daylight inside whilst you work or relax. Small and portable for use anywhere a mains plug is available. Much more convenient than large tube units and better than LED versions as it does not create "spotting" in the eyes.